Halloween is the best time of year for getting your fix of horror collectibles; there’s just so many to choose from. One in particular has caught my eye: KREATIONX’s superb looking DRACULA wall relief, now available for pre-order. This relief is based on the vampire head stone carving from the official BRAM STOKER’S DRACULA poster art. Measuring 24 inches in width, this resin piece comes fully painted and ready to hang (hardware already installed). 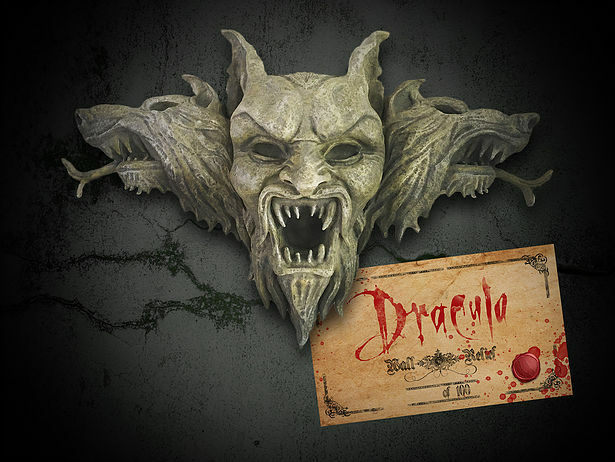 Limited to 100 pieces at $119.99 (USD, comes with a COA), this DRACULA Wall Relief is set to ship mid to late November so grab yours now from the official Kreationix shop. Don’t forget to visit Kreationix’ Official FACEBOOK.